The epicenter of spirituality, Mt. Kailash, takes you to the most beautiful monasteries, lush green valleys, lofty mountains and enchanting stupas. The landscape surrounds the area giving it a heavenly touch and legendary palaces and temples offer insights on the ancient culture and religion of the holy region. Lhasa Kailash Tour is a once in a lifetime journey that offers you with an unforgettable experience of the most sacred sites in the entire Tibet. Devotees from all around the world, mainly Buddhist, Hindus, Jain and Bon followers believe that a walk around the Mt. Kailash and a bath in the Mansarovar Lake washes away all their intentional and unintentional sins that they have committed in their entire life. Since it is the most demanding, challenging and expensive tours, we arrange a small group and ensure that the Lhasa Kailash Tour for the trekkers is at a very affordable price. The Kailash Region Trip begins in the ancient city of Lhasa itself, which is one of the highest cities in the world situated at the height of 3650 m above the sea level. 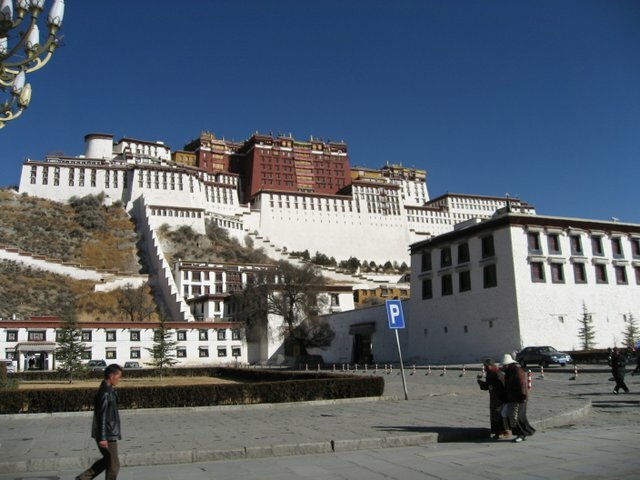 The trail brings you to the Potala Palace which is the winter palace of Dalai Lama. Lhasa is the second most populated city of the Tibetan Plateau and it consists of almost every religious and ancient monasteries, palaces, monuments, and markets. We also visit other monasteries such as Sera and Drepung monasteries which is one of the highlights of the trip. The Barkhor streets give you an opportunity to do Kora (a religious circle of a building or mountain) along with other visitors and pilgrims. Lhasa Kailash group tour will also provide us with an opportunity to make a holy Kora of the pristine Mansarovar Lake, another sacred site close to Mt. Kailash. We explore and soak in the ambiance of the ancient and culturally rich mountain in this trip. 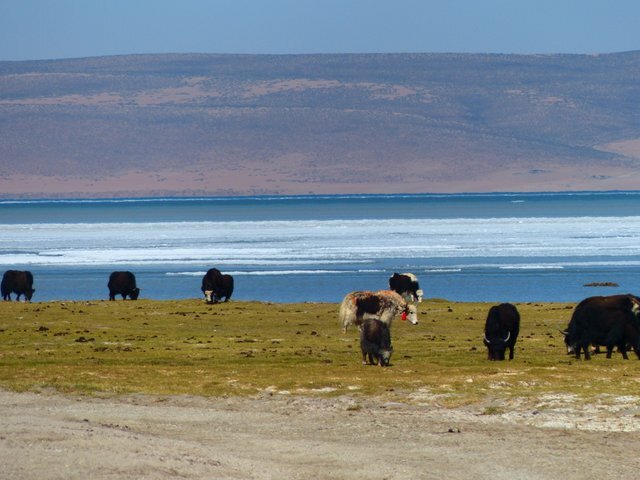 The journey ends with the 3 days holy trek around Mount Kailash and a marvelous drive through the arid expanses of Tibetan plateau to Lhasa, after which we catch a flight back to home or Kathmandu. We organize the best trips for you to have a pleasant experience throughout. We take every aspect of our customers’ needs into consideration and modify our itinerary accordingly if requested. 20th May 2019 arrive Lhasa. 07th June 2019 arrive Lhasa. 22nd June 2019 arrive Lhasa. 05th July 2018 arrive Lhasa. 21st July 2019 arrive Lhasa. 05th Aug 2019 arrive Lhasa. 20th Aug 2019 arrive Lhasa. 04th Sept 2019 arrive Lhasa. 19th Sept 2019 arrive Lhasa. Day 12: Final departure transfer to the airport. Alpine Eco Trek highly suggests you to apply for Medical Insurance, covering emergency evacuation and all medical expenses are must for Lhasa Kailash Tour. So, please be insured prior to the holy journey to the Heavenly Abode of Lord Shiva. Meals during your stay in Kathmandu are provided in package at the same hotel where you stay. Meals during the Kailash portion will be all vegetarian and Lhasa portion will be only bed and breakfast basis. Alpine Eco Trek's staff will serve you hot and delicious meal at every day breakfast, lunch and dinner on the way from Saga to Saga will be provided in Lhasa Kailash Tour. We will provide you packed lunch while doing Kora around Mount Kailash. And, we also suggest you to bring some of your favorite dry foods, sweets and ginger and garlic Candies along the tour. We will provide transportation for Lhasa Kailash Tour depending on group size like if there are below 5 we provide a Jeep, if 5 to 08 we provide a Van, if 08 to 16 we provide two vans, if above 16 up to 25 people we prove a deluxe bus. upon your arrival at Kathmandu airport, you will be meet by one of our tour leaders and transfer to hotel. Rest of the time will be rest at the hotel. Evening, join a welcome dinner with group. Overnight at hotel. After breakfast, you will be taken to explore the historical and world heritage sites of Kathmandu valley, the tour guide will come to your hotel at around 9 A.M for 3 hours sightseeing tour. Afternoon come back to hotel for lunch. There will be a trip orientation at around 4P.M and our crew will check your gears and packs. Group dinner and overnight at hotel. We will be transferred to airport early in the morning for an amazing flight to Lhasa. 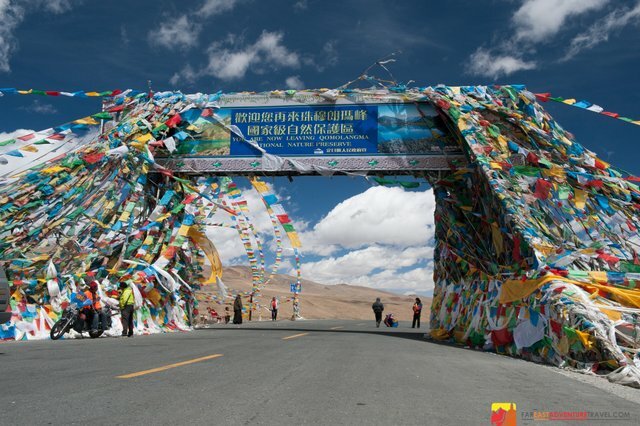 Upon arrival at Gonggar airport, our representative will come to greet you and with an easy one hour or half hour drive will take you to your final destination to Lhasa. Check in to hotel and you can spend this time in relaxing. Overnight at Hotel. In these two days, you will visit with our knowledgeable and English speaking Tibetan guide who will show you everything there is to see and explore in some of these famous sites. First of all we will start exploring the beautifully preserved Sera Monastery. Many of the pictures you see of Tibet are of these buildings with their white washed walls and golden roofs. There are several hundred monks live and study in this monastery. The Jokhang Temple and Norbulingka palace will be exploring on the first day's afternoon. The Jokhang temple will provide you one of your first sights of devout Tibetans, as thousands visit this holy shrine each day. The big market of Lhasa, the Barkor surrounds the Jokhang temple. The Norbulingka is another amazing piece of architecture of Tibet and was once the summer palace of the Dalai Lama. On the second day's morning, you will visit Potala palace, the ancient palace of Dalai Lama. Be excited for astonishment as this massive palace has been around since before the 17th century. The afternoon will be spent visiting another historic monastery known as famous Drepung monastery. It was once home to over ten thousand monks is still a beautiful monastery to see. Overnight at hotel. As we begin our adventure overland journey in the Himalayas, today we drive to Gyantse via Yamdrok lake where we will get an opportunity to visit the famous Gyantse Kumbum as well. Along the way we cross over the Kamba la and the Karo la passes with spectacular views. Then we drive to Gyantse, where we will visit the Pelkor Chode monastery and Kumbum Stupa followed by two hour drive to Shigatse. Overnight at guest house. In the morning, there will be an arrangement for us to visit Tashilumpo Monastery and the spectacular tombs of Panchen Lamas. We can also see the monks of this monastery nice looking with their home-made traditional shoes. After exploring the largest monastery of Tibet, we will drive to the small town of Saga, today's final destination covering many miles during the day but also encounter alluring river valleys and scattered villages. Overnight at guest house. From Saga, we will head through small dusty town of Dongba among enchanting panoramic views, where scattered nomads tents are mingled with their herds of animals on the open plateau. We can see numbers of villages and camps of Yak herders with the distance view of snowcapped mountains, across the Mayun-la pass. And, if you are lucky enough, you might see many wild animals at the plateau grasslands. After our arrival at Mansarovar Lake, we will make our walk to Chiu Monastery which is the best point to see Mt. Kailash and Lake Mansarovar. Overnight at guest house. After holy dip into the sacred lake, we will do Homa/Pooja of Lord Shiva we make a holy Kora around the lake Mansarovar Lake. After spiritual activities, in the afternoon we drive to Darchen and prepare for the circumambulation around Mt. Kailash. Overnight at guest house. We start early drive from Darchen after your breakfast. Our staff will provide you packed lunch for on the way. Drive to valley of the god which is also called Yamadwar. Start walking towards Derapuk. Walking trail is flat land and some minor up hills. 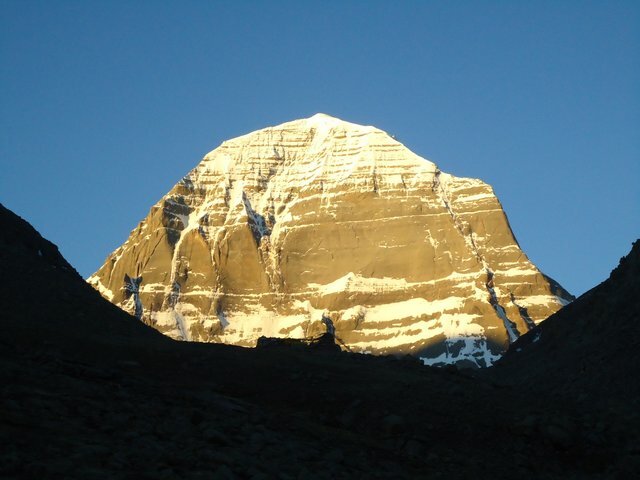 Reach at Dehrapuk and have north face of mount Kailash. Overnight at guest house. Today our holy Kora/trek leads to much higher altitude of the holy path just beneath the Mount Kailash. The hiking will bring us to one of the highest point at Drolma La Pass 18500 feet, and the pass is quickly descends to the gradual field towards Zuthulpuk, in Tibetan it means magical cave. This small monastery is connected to an interesting story of talent competition between Great Yogi Milarepa (Buddhist) and Naropa (Bon). Overnight at fixed tent or mud house. After breakfast, we start our last day's Kora, the wind gradually comes out of the valley and the river will allow us to follow in to the Barka plain. Our trek ends at Trangmar, where our jeeps are waiting to take us back to Saga crossing the most remarkable mountain passes and alpine villages. Overnight at guest house. Day 13: Drive from Saga to Kathmandu or to Lhasa via Shigatse. After breakfast at Saga, today, you can have two choices in your tour, if you want to fly from Lhasa to mainland china or directly to your home town you can drive from Saga to Lhasa via Shigantse and if you want to end your tour in Kathmandu, you can drive from Saga to Kathmandu via Nyalam but some time we will have to find if the Tibet Nepal border is open or not because this boarder is naturally and politically one of the extremely sensitive borders of Nepal and Tibet. (The landside or political blockade often disturbs this border so badly), please check with us if this border is open or close. Overnight at Kathmandu or Lhasa. Day 14: Final departure transfer to the airport. After breakfast you will be transferred to the Kathmandu airport Or Lhasa airport to board your flight back to home. This is an amazing way to end a life-changing journey. Come join us for this memorable trip.